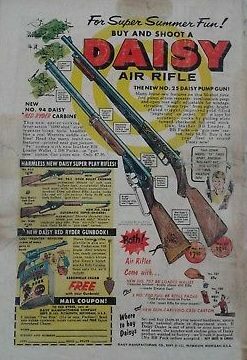 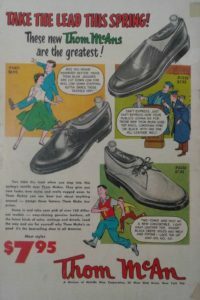 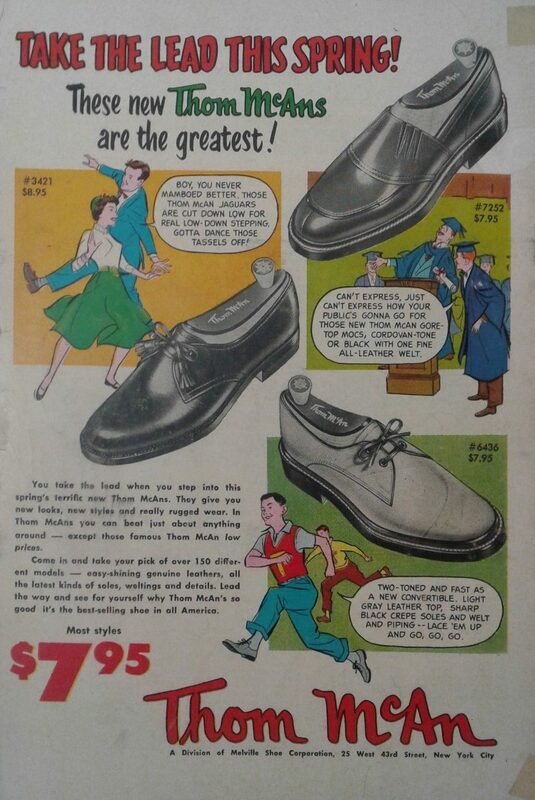 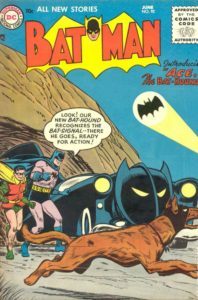 Batman comic #92 features the first appearance of Ace, the Bat-Hound in “Ace, the Bat-Hound”. When Batman and Robin find an injured dog they they take it back to the Batcave; The dog helps them with a few cases and leads them to the crooks who kidnapped his master. 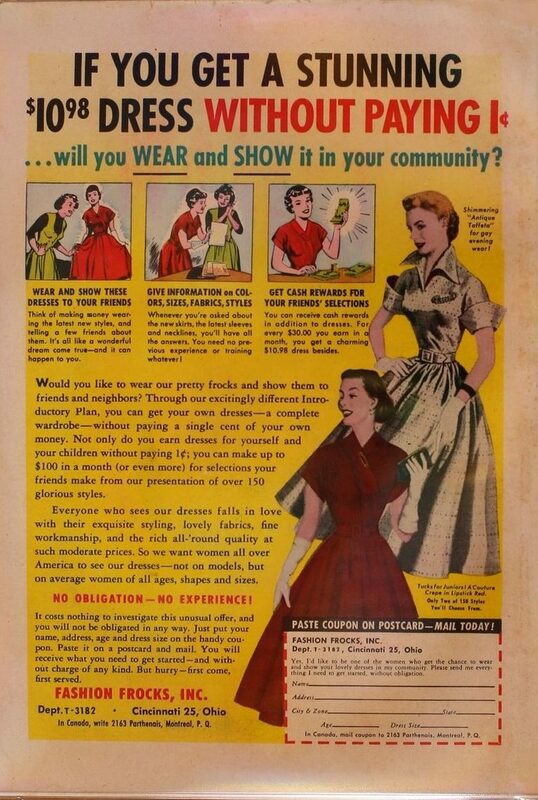 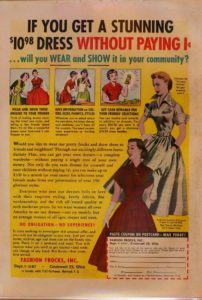 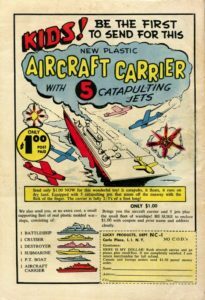 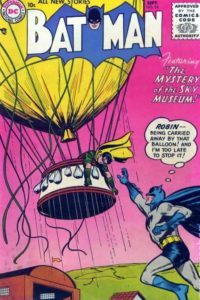 This issue features the Mystery of the Sky Museum. 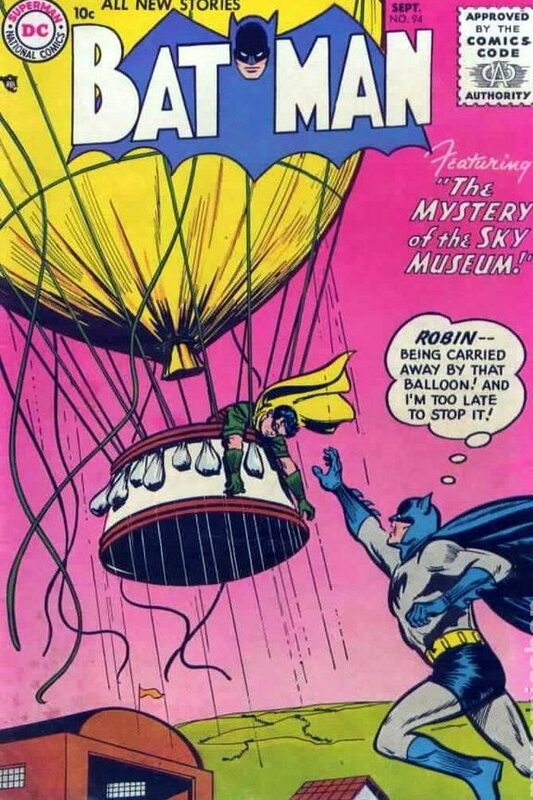 The Dynamic Duo fly out to the famed Sky Museum to talk with the curator about a problem he has been having and they find the man struggling to keep an old air relic in the sky; The mystery deepens when a series of attempts on Batman and Robin’s lives occur using vintage aircraft against them. 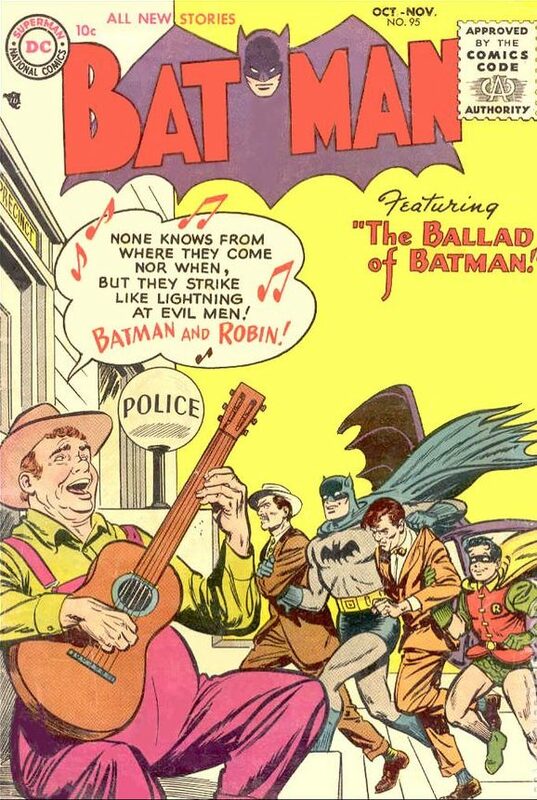 In this issue, A balladeer comes to Gotham City to sing the praises of Batman in verse, but it backfires when his songs tip off crooks wanting to commit crimes. 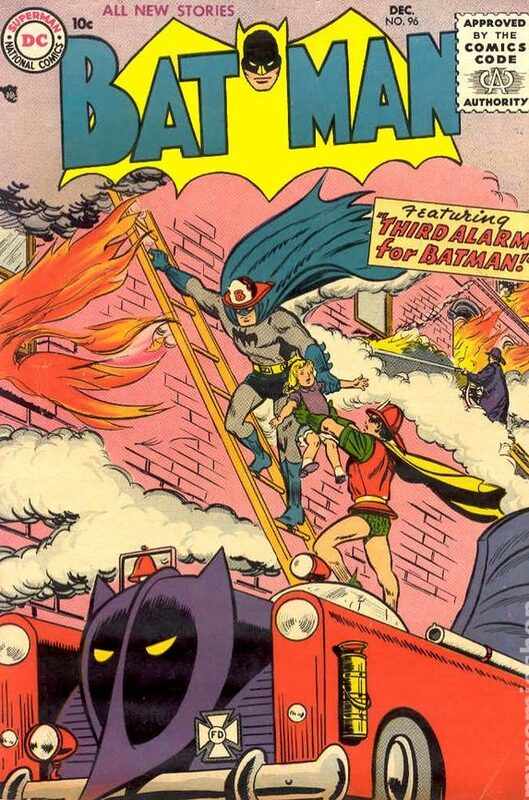 Batman #96 features The Third Alarm For Batman. 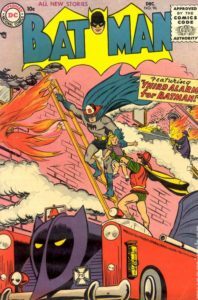 During Fire Prevention Week, Batman and Robin are asked to join the Fire Department, and, in doing so, uncovers a smuggling ring, and asks the Fire Department to assist them in stopping it. 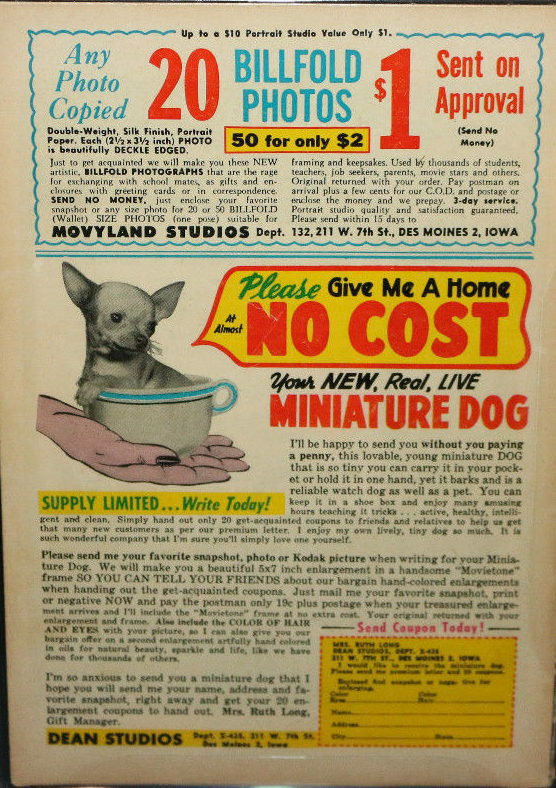 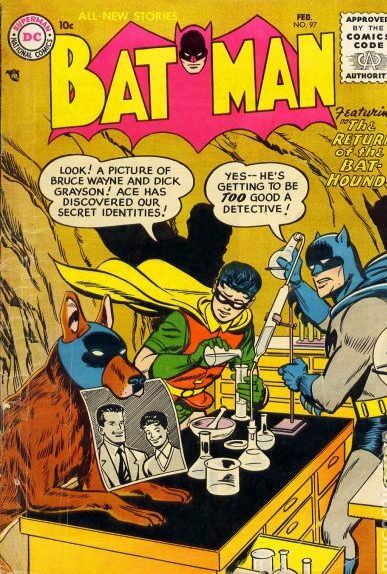 This issue features The Return of the Bat-Hound. 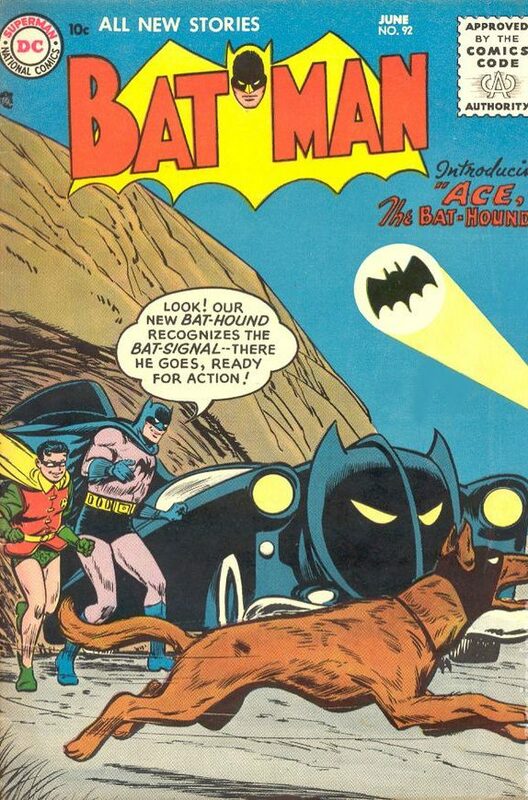 The first appearance of Ace, the Bat-Hound was in Batman comic book issue #92. 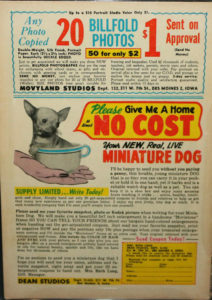 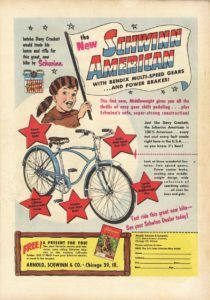 In this issue, when some crooks learn that trainer Ross Millen has trained his dog to by-pass security systems, they seize Millen and force him to use his dog to commit crimes. 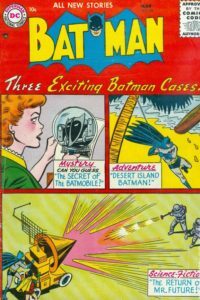 This issue features the Three Exciting Batman Cases. 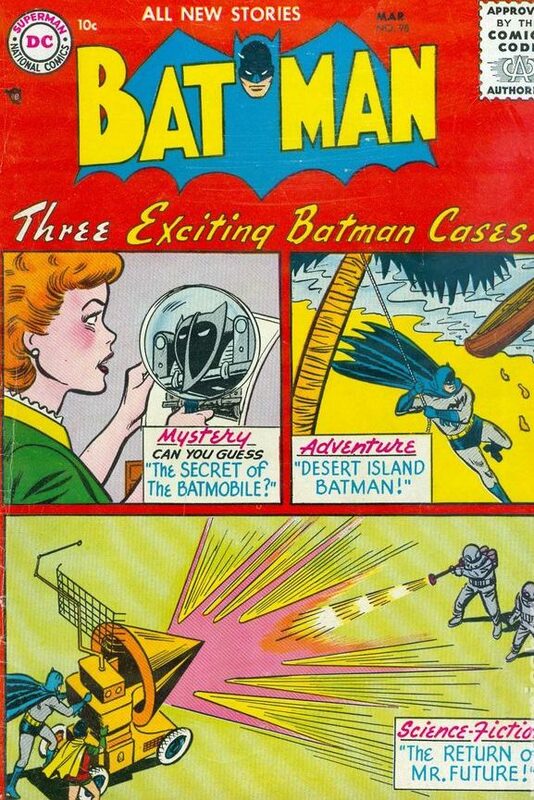 First is The Return of Mister Future, then The Desert Island Batman and the third is the Secret of the Batmobile. 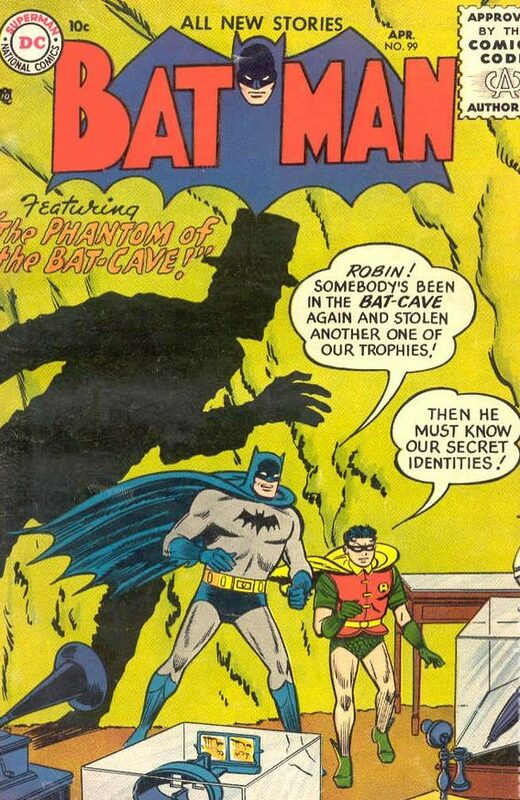 This issue features The Phantom of the Bat-Cave. 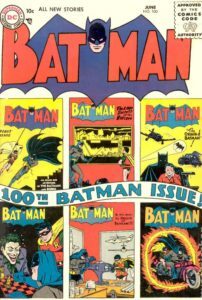 Batman is puzzled when a trophy from a case he just completed disappears and is replaced by another item…right in the confines of the Bat-Cave; When this happens again and again, Batman fears the worst: a crook has discovered the location of the Bat-Cave. 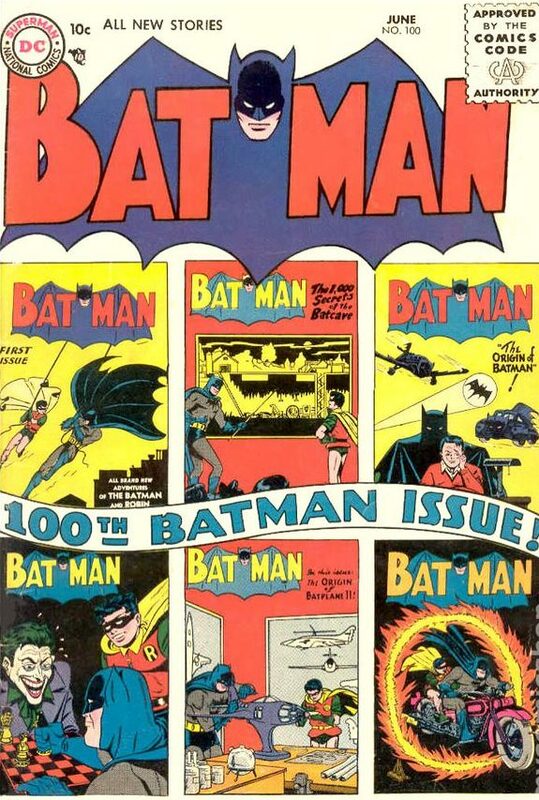 The three Batman and Robin stories in this issue are all new and not reprints. 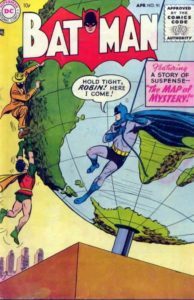 “Batmantown, U.S.A” – The city of Plainview changes its name to Batmantown in an effort to to attract more tourists and increase the general population. Batman and Robin arrive soon afterward for a visit, but Batman worries that the new name will attract criminals instead. 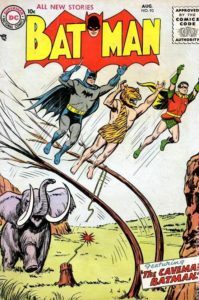 “The Hunters of Gotham City” – An accident at the docks in Gotham City allows several animals to escape into the city. 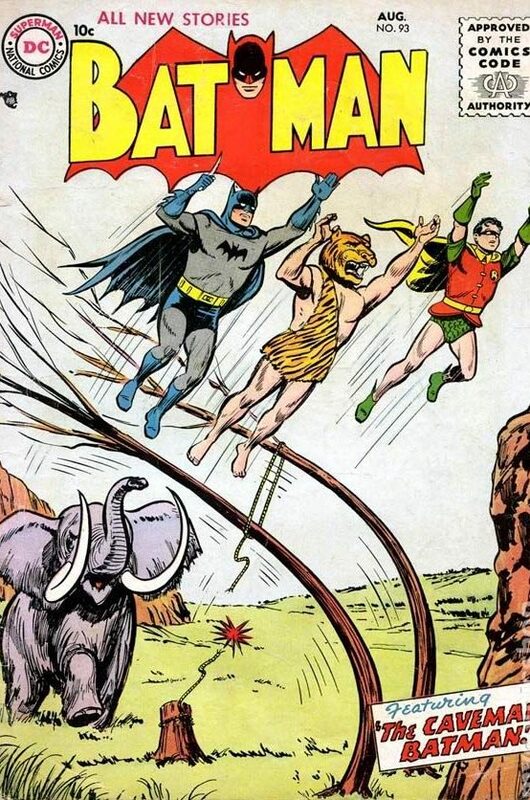 Batman and Robin help the Zoologist and his assistant to round up the escaped animals one by one and discover one of the beasts is being used to smuggle diamonds. “The Great Batman Contest” – Batman holds a contest with a scholarship award to a high school student who invents the most useful “bat-weapon”, and hopes to find an invention that will serve him well in his crime fighting.